Down another whiskey sour as you return your seat to its upright position; bask in the glow of the warm Vegas sunset and in the comfort that LV Limos has you covered. 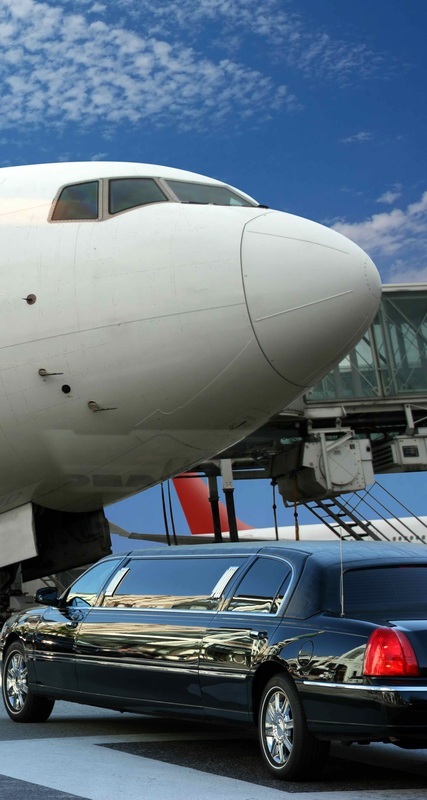 When you step off the plane, our professional, immaculately dressed chauffeurs will be there to welcome you with a pristine vehicle to perfectly meet your needs, whether you’re traveling on your own or in a group. 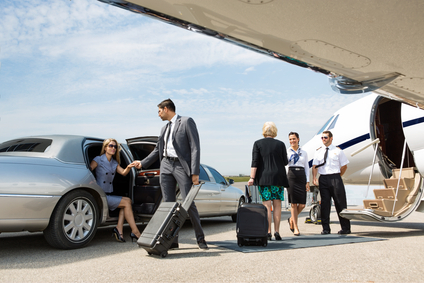 No need to worry about schlepping luggage, scrapping with rental agencies, or flagging down a cab—just enjoy the crisp, elegant interior of your cool limousine while you and your entourage sip champagne in luxury, and let us worry about getting you where you need to go. Whether it’s the drive from McCarran International to your hotel at the beginning of your stay, or a relaxing ride to McCarran at the end of a productive and thrilling week in Vegas, our team of dispatchers will keep your driver informed with up-to-the-minute updates on your flight times. Let LV Limos carry you to and from the airport in luxury, as you enjoy the cool, quiet sanctuary our illustrious cabins have to offer. Our punctual drivers understand that traveling can be stressful, and are dedicated to providing you with a seamless transition from one destination to the next. Our chauffeurs have an intimate knowledge of the Vegas area and extensive experience at McCarran, so rest easy in the assurance that we’ll get you there on time. Every time. Let us help alleviate the stresses of travel. Give us a call at 702-761-3338 for a free quote, and indulge in a luxurious entrance (or farewell) to the entertainment capital of the world.